The above conversation reflects the different perspective of peer pressure versus the management level. 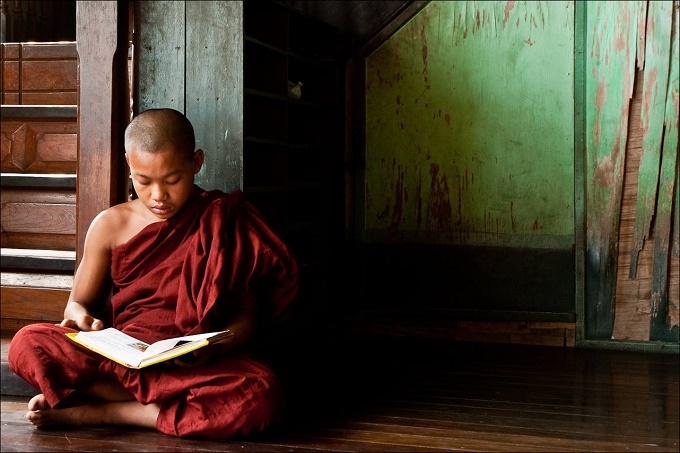 The Sangha monastic order also has the presence of these three categories of people. Those who takes advantages with always say that they are here to cultivate and practise the Dharma and not here to work, this he or she usually portrays a image that he or she is all for cultivation and everyone is obliged to help him or her in their everyday mundane aspects of living! The group’s system must strike a balance between powers & obligations, with such foundational basis, it will allow fellow cultivators to march towards being the top category of human being, which is the high standard of contributing without attachment to forms. As for the third category of people who likes to take advantages, I would sincerely advice her or him and if he or her does not respond nor change oneself after these advice, I will ask her or him to leave the Sangha Monastic Order. Yes, as part of the management level of the Sangha Monastic Order, I am heard-hearted. The team of the Bodhisattva learners must be attributed with high standards of psychological quality, only then they will have the virtues of one who practices the Bodhisattva Path- attributes, capability & trust. If the third category of people who takes advantages continues to stays in the order, those on the second category of power-obligation people will retrogress and start to suspect, why those kids who make noises will have sweets to eat? I have always heard people saying: “One would rather lead a troupe of soldiers and not lead a troupe of Sangha Monastics” The reason is because Sangha Monastics are all equal in rank and not divided into ranks like the army, where the superior have strong authoritative powers over the lower ranks which is complimented by a system of rewards and punishment for the soldiers. But, if we make reference from the Vinayas (Buddhist Book of disciplinary codes), even though monastics are equal in rank, but there is no doubt the presence of a system of reward and punishment. There are many instances in the Vinayas whereby punishment is given on the basis & spirit of non-violence as the bottom line. The most serious form punishment is to expel a person out of the Sangha Order, while the secondary form of punishment includes expulsion from area tentatively, which does not permit cohabiting, conversations with others until one has confessed to be relieved from the punishment of being ignored. But I discovered when a leader faces a bad monastic, one is not swift to make a precise decision and action to expel or ignore this person, thus resulting in mixture of both good & bad people and even resulting to cahoots in gang of the bad ones! To be honest, to lead a troupe of Monastics is not necessarily harder than leading a troupe of soldiers. The key to leading a Sangha order is to mantain fairness & discipline, as long one holds true to this key, establishing the practice of observation to disciplinary codes, those whom are lazy and undetermined will naturally back out knowing it’s own limits. The problem is that the Sangha order is often mixed with “cultivator” and “management”, facing the the third category of people who likes to take advantages and very often it is hard to strictly restrict these bad habits of those who take advantages, but to ask the 2nd category of people and not to be not to be concerned for personal gains or losses. This will let those “kids who makes noises” to eventually go weaker. There 2nd category of people will become more confused because of the bad virtues of the 3rd category of people, which might also affect the 2nd category people to retrogress, which makes it hard for them to march towards the aim of becoming the top category. Lastly, an ideal buddhist organisation often unknowingly creates the trend of “those who dare will win” attitude, which eventually degenerates into a Buddhist organisation with no codes of precepts and disciplinary. The responsibilities of a leader of a Sangha order is tremendous, she/ he needs to draw a clear lines between the roles of “cultivator” and the “management” and be quickly to inter-grasp between the two roles with a single identity. From a personal perspect, one can be forgiving and embracing, but from the role of management level, one must be clear minded, clear disputes, divide resources and responsibilities. To conclude, it is only by rejecting the third category of people whom like to take advantages, make no room for these people to “make noise for sweets” and only then can they follow the footsteps of those in the 2nd category and eventually grow into being part of them. The leader should and must rely on a good system of governance such as the Pratimokṣa as the teacher, leading these people in the 2nd category marching towards become the top category of people who contributes without attachment to forms.